Although Juventus forward Ronaldo is 34 and Barcelona’s Messi will be 32 in June, former Manchester United and Real Madrid midfielder Beckham knows it will be tough to get them to move — even if he has not given up on the prospect. “Everyone has their wish list — everyone does! 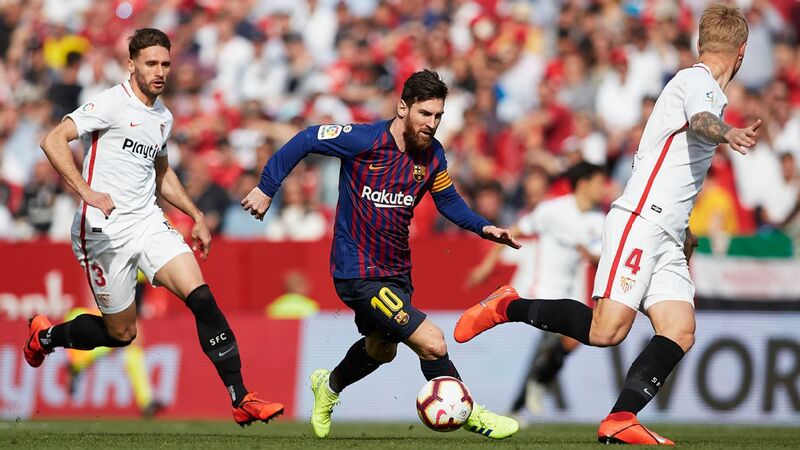 But if you look at the way Leo and Cristiano are still playing, even at what you might think is the later stage of their careers, I don’t see it ending for them,” he told a small group of reporters. Sign up for our MLS fantasy game! Ibrahimovic, Rooney, Vela – who will you pick? Play against fellow MLS fans every week! Beckham’s contacts in the game will surely help him attract talent and he also needs to find a manager and coaching staff for his club. “I’ve been speaking to people over that time. People like David Gill, who is someone who has a huge amount of experience at Manchester United, asking him about the job he did there,” he said. David Beckham won’t rule out trying to sign Lionel Messi or Cristiano Ronaldo for his new Inter Miami team. Beckham also backed Manchester United caretaker manager Ole Gunnar Solskjaer to take over the full-time job after his transformation of the club following the sacking of Jose Mourinho and said it is clear that the team’s supporters want him to become the permanent coach. Solskjaer took over from the sacked Jose Mourinho in December and has led the club into the quarterfinals of the Champions League. His overall record is 14 wins from 18 games ahead of Saturday’s FA Cup quarter-final against Wolverhampton Wanderers. “He’s just brought the players together — and the players have responded in the right way, the way the fans had hoped. It’s just nice to see Ole do so well,” Beckham told a small group of reporters. Beckham played with Solskjaer under Alex Ferguson during some of United’s most successful years and has no doubt his links to the club’s past have been crucial. “Ole has just come in. He gains that respect from the players because he had done it. He’d been there on the biggest stage and won, he’s been successful,” the former England captain said. “As a manager he’s done it in a mature way, a way that is respected by not just younger people but older ones. Having the support of The Boss [Ferguson] has also helped him and given him confidence. When you get results like he’s had, that’s great.